Budapest is full of thermal springs and medicinal waters, and abounds of thermal baths. It gained the rank of "thermal city" already between the two world wars. 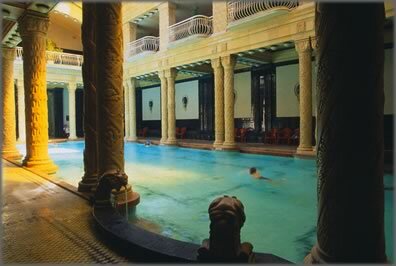 The baths, built in the sixteenth century, are the most closely guarded treasures, the Széchenyi baths, Gellért, Lukács, Rác (under renovation) are famous for their therapeutic force. It is a place loved by tourists in Budapest. Its therapeutic source was known already in the thirteenth century. 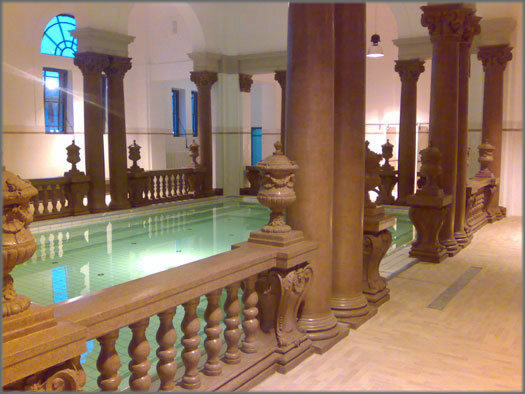 In the baths, the original Art Nouveau furnishings, artistic mosaics, the stained-glass windows and statues are still in their original state. Arszlán, the Pasha of Buda, began to build the baths in 1565. It's one of the rare Turkish architectures which gives an overview of the Ottoman bathing culture in its original splendor. The roots of the bath complex, built in the nineteenth century, dates back to Turkish era. Here you can find the sixteenth-century Császár thermal bath still functioning. 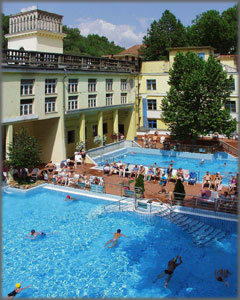 Next to the thermal bath, there is also a pool. Rác â€“ This bath is located on the Buda side near the Elizabeth bridge and is well known since the year 1400 although, in fact, the baths have been living since the early 1500s. Rudas â€“ This bath are fed by water from sources well known since the early days in which people settled in this territory. 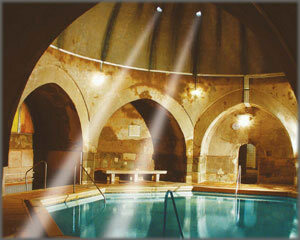 Took shape over time the thermal bath and had life, thanks to the will of the Pasha of Buda Sokoli Mustafa. The structure of these baths has remained virtually unchanged over time. One of the largest bathing complexes in Europe. The thermal source was discovered in 1879, this water flows from the deep and it is the hottest. The neo-baroque building was built in 1913, the pool was completed in 1927. The outer parts are very popular during the winter thanks to the pleasant temperature. 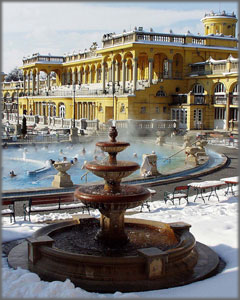 (These Spas are easily accessible with the yellow line subway, the stop is Széchenyi Furdo).